Granite Ice Whisky Sipping Stones may seem like a novelty but they are a supremely useful design from the minds of our Scandanavian friends. The freezable Granite Granite Ice Whisky Sipping Stones allow you to cool your beverages without diluting them or zapping the fizz in carbonated drinks. Who hasn’t taken a sip from their drink on a warm, Australian day only to find their delicious beverage has been hopelessly diluted by the ice that was meant to keep the drink cold? Granite Ice are freezable granite cubes which replace natural ice for 'cool' drinks. You simply slip the purpose-crafted wooden tray containing the 10 smooth-edged granite cubes into your freezer ... and 20 minutes later you have ice cold "ice" for your drink. Buy a few of these and never be without a hostess gift again. 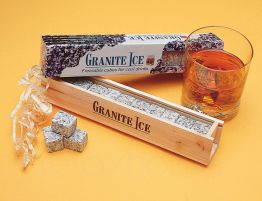 Granite Ice Whisky Sipping Stones are the perfect gift for the hosts and hostesses in your life. 10 granite cubes that come in a beautiful wooden presentation tray with slide out see-through 'window'. Put the tray in your freezer and in 20 minutes you have 'ice' cubes that won't adulterate your adult beverages! The Scandanavians have been using granite cubes for thousands of years. Impress your friends and 'go Nordic'! If you are looking for a unique gift with a difference for friends, colleagues and loved ones, look no further. Granite ice cubes are a great gift for people who like to entertain and the people on your list who are especially difficult to buy for. 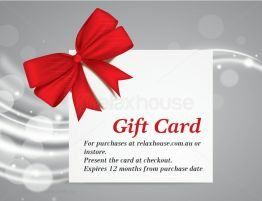 What a memorable gift for dad, brother, uncle or grandpa and even for the dinner party hostess who doesn't want yet another box of chocolates or another bunch of flowers! It doesn't dilute your drink. (Granite is inert and cannot react with anything or absorb anything so it doesn't "taste" your drink). The product is beautifully packaged in full-color on quality gloss board stock and features a 'window' allowing you to view four granite cubes.